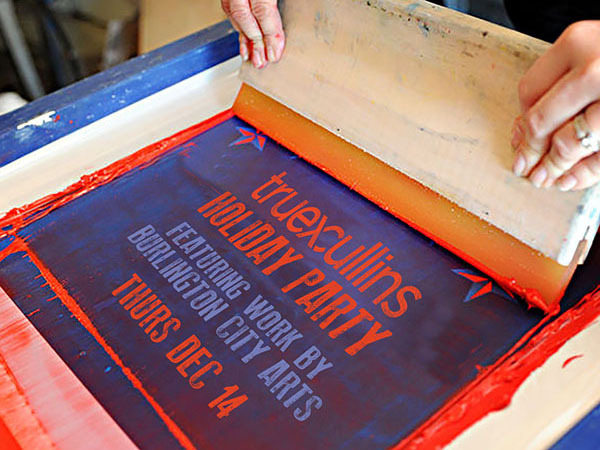 The TruexCullins holiday party is back! Please plan to join us at our office on Battery Street on the evening of Thursday December 14th from 5-8 pm for our annual holiday soiree. We always enjoy raising a glass with our friends to toast the year and celebrate the holidays. We recently joined our friends at the BCA to create some original silkscreen prints, designed and produced by TruexCullins staff under the direction of BCA artists. Our prints will be on display at our reception, and will be available for purchase, with all the proceeds going to benefit Burlington City Arts. We hope to see you on December 14th for some holiday cheer!